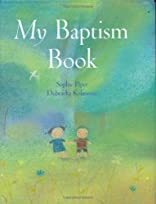 This delightful keepsake may be the gift-of-choice for children baptized this Easter, and for kids on the occasion of First Communion, as a profound but simple way to remind them of the meaning of Baptism. The message of My Baptism Book is one of God's eternal love and care. For ages 0-8. Click Here to preview the entire book!